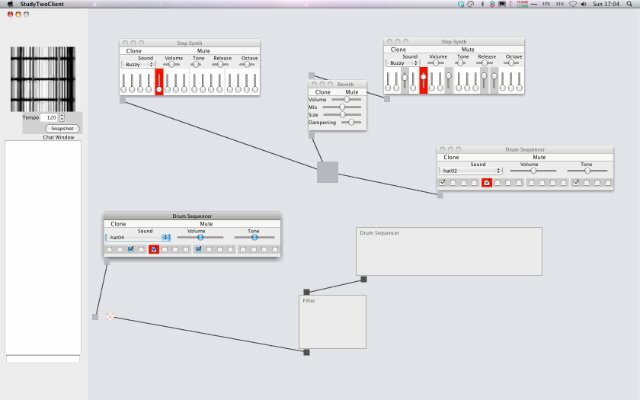 This project draws on research from Computer Supported Cooperative Work (CSCW) to explore the design of systems for Collaborative Digital Musical Interaction (CDMI). A central focus of this research is the concept of Awareness: A person’s understanding of what is happening, and of who is doing what. 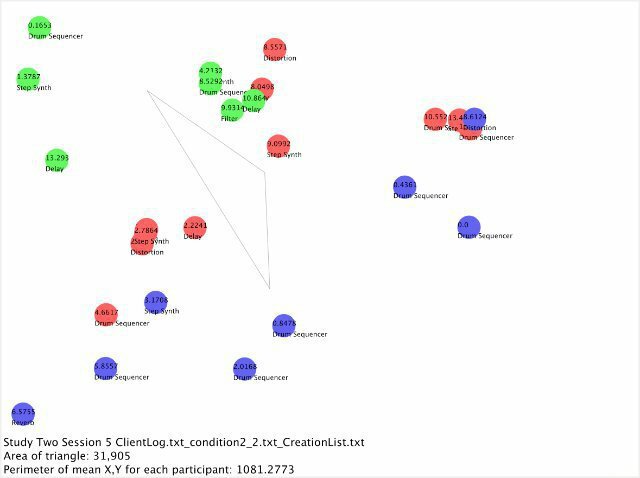 A novel software interface is developed and used over three experimental studies to investigate the effects different interface designs have on the way groups of musicians collaborate. Existing frameworks from CSCW are extended to accommodate the properties of music as an auditory medium, and theories of conventional musical interaction are used to elaborate on the nature of music making as a collaborative and social activity which is focused on process-oriented creativity. This research contributes to the fields of Human-Computer Interaction (HCI), Computer Supported Cooperative Work, and Sound and Music Computing through the identification of empirically derived design implications and recommendations for collaborative musical environments. These guidelines are demonstrated through the design of a hypothetical collaborative music system. This thesis also contributes towards the methodology for evaluating such systems, and considers the distinctions between CDMI and the forms of collaboration traditionally studied within CSCW. Fencott, R. and Bryan-Kinns, N. (In Press due March 2013). Computer Musicking: HCI, CSCW and Collaborative Digital Musical Interaction, in Music and Human-Computer Interaction, Springer Cultural Computing Series. Springer. Fencott, R. and Bryan-Kinns, N. (2012). Audio Delivery and Territoriality in Collaborative Digital Musical Interaction, in The 26th BCS Conference on Human-Computer Interaction, Birmingham, UK. Fencott, R. and Bryan-Kinns, N. (2010). Hey Man, You’re Invading My Personal Space: Privacy and Awareness in Collaborative Music, in NIME++ 2010: New Interfaces for Musical Expression, Sydney, Australia. Bryan-Kinns, N., Fencott, R., Metatla, O., Nabavian, S., Sheridan, J. (2010). Interactional Sound: Listening to CSCW, Sonification, and Sound Art, in NIME++ 2010: New Interfaces for Musical Expression++, Sydney, Australia.